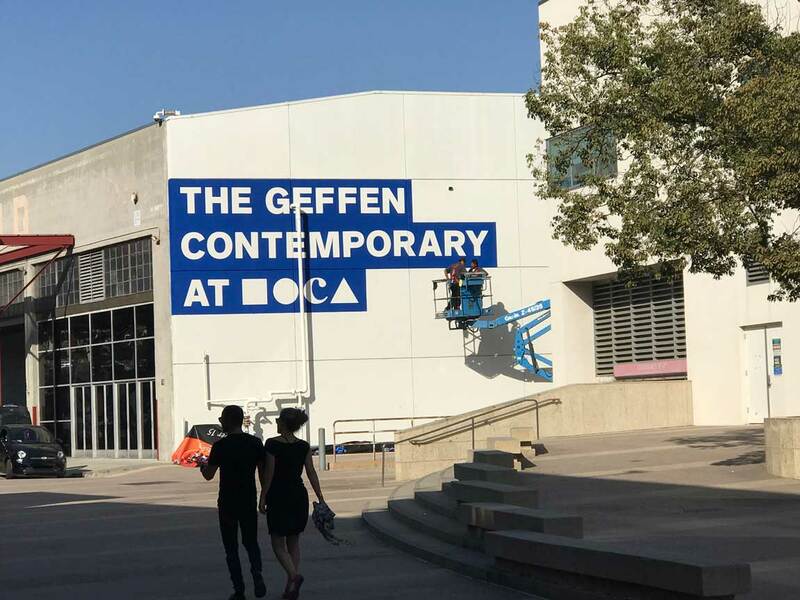 Olson Visual installs a large-scale graphic for the Geffen Contemporary (formerly The Temporary Contemporary) in Downtown Los Angeles. Check out these images showing our work. We are proud to work with MOCA for many years and continue to provide excellent quality graphics for small to large-scale signage for them and other major museums in LA. Renovated by the famous architect Frank Gehry, MOCA is a former police car warehouse in L.A.’s Little Tokyo Historic District. 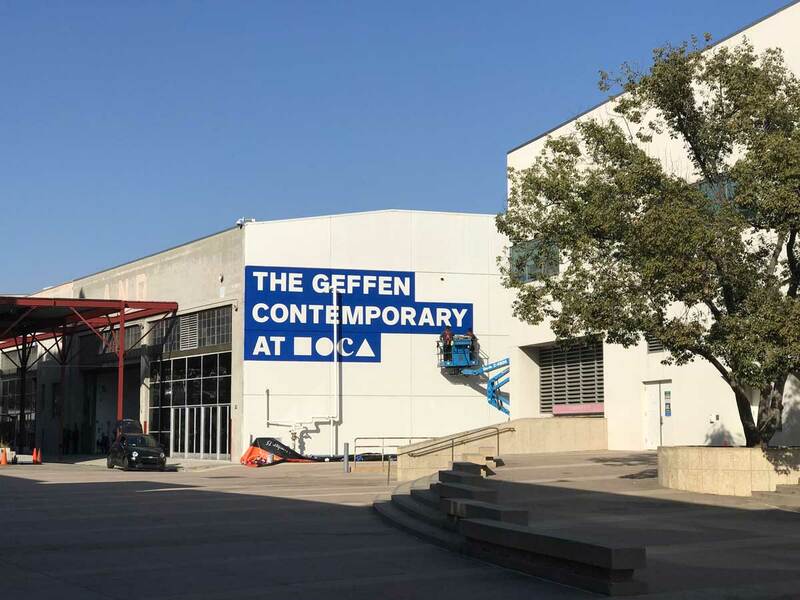 The Geffen Contemporary at MOCA opened its doors in 1983 and offers 40,000 square feet of exhibition space. “The Geffen Contemporary at MOCA will reopen November 11 with Zoe Leonard: Survey and Laura Owens”.